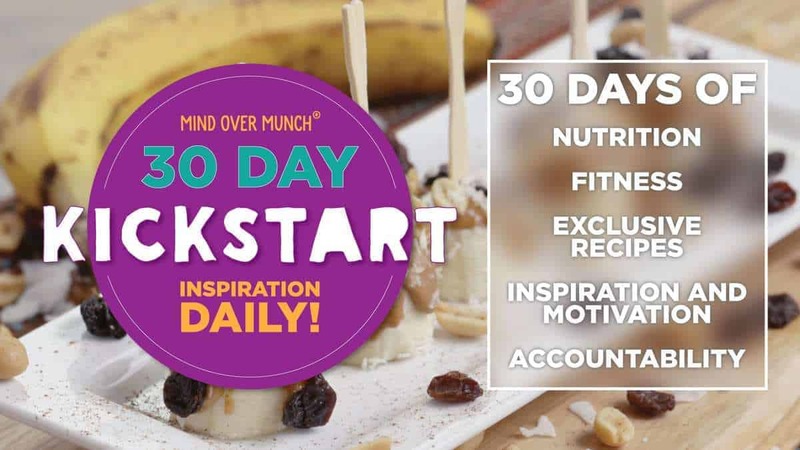 The Mind Over Munch 30 Day Kickstart Course is a guide to healthier living, no matter where you are in your journey to health. When you sign up for the course, you gain access to 30 days of Kickstart emails, full of valuable information about healthy living, daily inspiration and challenges, as well as exclusive recipes. This course is the perfect way to inform yourself about nutrition and wellness, and take action to build your healthiest life!